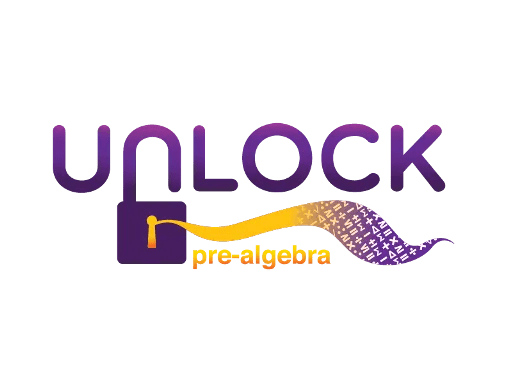 UnLock Pre-Algebra, Our Review! | My Journeys Through Life . . . Herding Cats In New Mexico! ← Mr. Loquacious Had Surgery! I had never even heard of UnLock Math before this, but I am sure glad that being a member of the Homeschool Review Crew showed it to me! We were given a number of options to request for review, and have been blessed with the one that would truly work for us (or should I say, work for “The Artist)! We were given for purpose of this review a one year subscription to UnLock Pre-Algebra. One of the things I particularly like is that UnLock Pre-Algebra breaks the lessons down to small sections, so the student is never overwhelmed. Concepts are built one on top of another, so that the student can understand what is going on in a logical manner, and not fall prey to math anxiety (which is something that I have always had a problem with! ), thereby building more confidence, skill and understanding. The video lessons are approximately 10 minutes in length, and are watched after doing the warm up section. After the video are the practice problems, generally about 10 of them, focusing on what was taught in that particular video. After this, there is a stay sharp section, which covers everything the student has covered since the beginning of the program, and then a challenge yourself, a difficult (in my son’s opinion, anyway) word problem. I understand that, because I myself have always hated word problems. UnLock Pre-Algebra can be used as a full program for the year, or as a supplement to your main program. This program is 16 units in length, and covers topics from whole numbers all the way to probability and statistics. The entire UnLock Pre-Algebra Scope and Sequence is available for you to read before purchase. I also like that the program does allow the student to redo the practice questions if he or she feels they could do better. Afterwards, the system will use the highest score they get for their grade. I ESPECIALLY like that this is parent/teacher friendly. I didn’t have to prep or teach anything. I don’t have to grade anything, the system does it for me, and “The Artist” can see how he’s doing from his side as well, so that (as I said before) if he feels he didn’t do well, he can do the practice questions over and the system will take the better grade. I don’t have to decide how to schedule lessons, either, because there is a downloadable scheduling guide already made! My favorite thing? The absolutely phenomenal customer service! The day that I was out-of-town with “Mr. Loquacious” when he needed surgery for his broken nose, I asked my husband to please make sure “The Artist” kept on schedule with this and one other school assignment. Well, he found a mistake in on of the tests. He had the right answer, his dad (the math geek) said it was right, too. so after I came home, I got into chat on the UnLock Pre-Algebra site, where I got an immediate response, no waiting. Devon came on, he told me he would fix the grade right away and check on the glitch. Then, he emailed me because he forgot to ask my son’s name in the chat, lol! Then, a few days ago I received an email from Matthew Blackwood, founder of UnLock Math letting me (and apparently everyone else with this program,) to let us know that the testing and assessment platform was updated a couple of weeks ago. An unforseen result is that graphing questions were not grading correctly, and it is a bug they are working on fixing. With apology for any inconvenience, Mr. Blackwood hs told us that we can simply send a list of any questions that the student has answered correctly, but the system is grading as incorrect or incomplete, and it will be manually changed for the student. In the beginning, I set up my log in and “The Artist’s” student log in, gave him a brief explanation, and away he went! Pretty quickly, he decided to keep paper and pencil at hand in order to work out on paper some of the problems. I liked that there was only one problem on the screen at a time, it made it easier to focus. “The Artist” mostly uses a pair of head phones while working in UnLock Pre-Algebra, so that he can actually focus. With a six person household, it’s not often going to be quiet, hehehe. I have decided I am a definite fan of this program! Now that the review period is over, we have decided this is a wonderful program to help “The Artist” get going on being where he may need to be in math. I highly recommend it to you!